It’s easy to feel passionate about picture books. The engaging harmony between text and illustrations can take not only children, but also adults, to amazing and wonderful worlds. Writing and illustrating my first picture book, The Green Goggles, was a dream come true. I hope to write many, many more stories for children. ​Baby doesn’t want to go to sleep. So his cuddly friend Bilby takes him on a magical journey through the night as the world falls asleep. Gnome puts his tools away, mother bear snuggles her cub, and mermaids drift into peaceful slumber in this bedtime adventure. Who gives a kid socks for his birthday? ​Pete’s birthday isn’t looking too bright until he unwraps a present from his Grandpa – a pair of green goggles! ​When he puts them over his eyes his world transforms! Join Pete and his brave cat, Fluff, on an adventure into imagination. 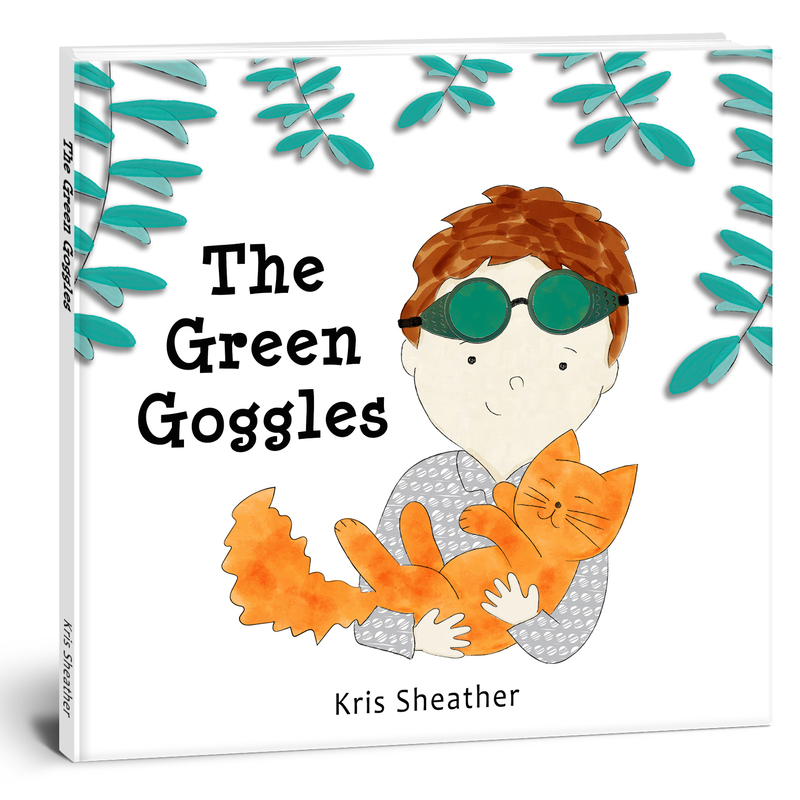 The Green Goggles, aimed at 2-6 year olds, encourages outside play, exploration and imagination. – Community awareness, social appreciation and environmental awareness. The comprehensive teaching resources for The Green Goggles are available on the Teachers Pay Teachers website by Ripper Reading Resources.